The European Commission has made healthy strides towards its goal of a Digital Single Market in adopting a proposal to set maximum wholesale roaming charges. 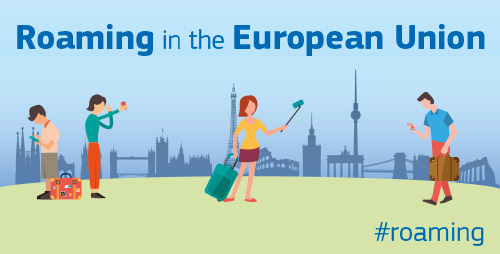 While the discussion surrounding high roaming charges has been ongoing since 2006, progress has been slow in an effort to ensure sustainable pricing throughout Europe. The Commission has had to ensure operators are able to offer retail roaming services without any charges in addition to the domestic price. To meet these requirements the charges have been set at a maximum of €0.04/min, €0.01/SMS and €0.085/MB throughout the EU. Following the adoption of the Roaming Regulation, which entered into force in November last year, the EU committed to the stringent regulation of retail roaming charges in the Union from 15 June 2017. While this is still the long-term goal, there is a temporary pricing structure in place, which has reduced the cost for the consumer. As of April 30 this year, operators were limited to charging a maximum of €0.05 per minute of call made, €0.02 per SMS sent, and €0.05 per MB of data. One of the complications for the Commission has been to ensure rates are fair to all 28 countries in the Union, while also ensuring the consumer is protected. Countries such as Spain and France needed wholesale rates to be high enough to ensure it compensated for revenues accumulated through tourist traffic. Countries where outward travel is more common feared removing retail roaming rates without lowering wholesale prices first would see a rise in domestic prices to compensate for the loss. While these disputes were of little concern to the consumer who would ultimately want lower prices, the European Commission has always had one eye on the cost implications to ensure the move didn’t negatively impact investments in infrastructure. Although roaming charges will be more stringently regulated as of June next year, there are still a couple of exceptions for operators. Operators will be able to adopt a ‘fair use’ policy to stop customers taking advantage of the system by potentially using cheaper roaming rates permanently. Secondly, should an operator be able to demonstrate to the Commission it cannot recoup the costs following the removal of the charges, in turn raising domestic prices to compensate, it would not have to comply with the new regulations.